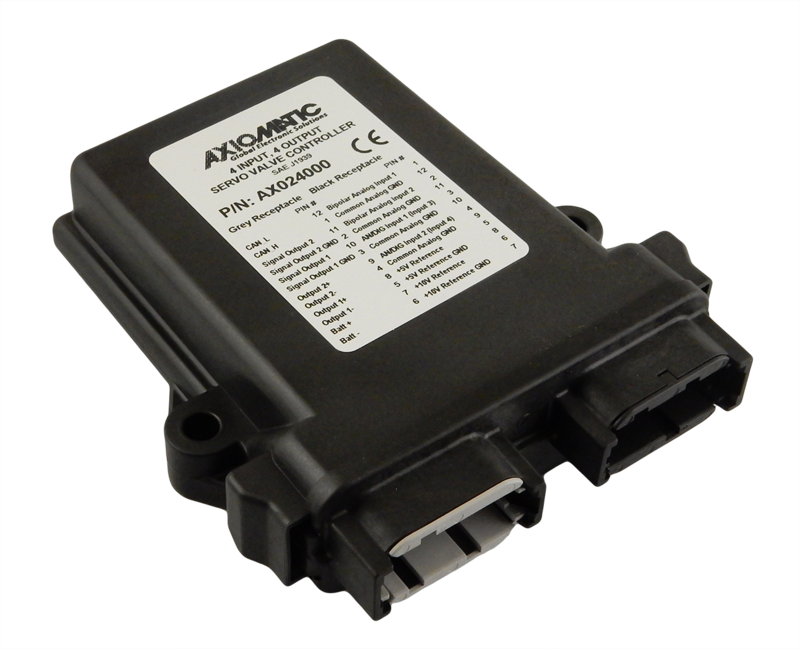 Axiomatic SAE J1939 Controls are cost-effective solutions for extending engine control networks in upgrade and retrofit applications. 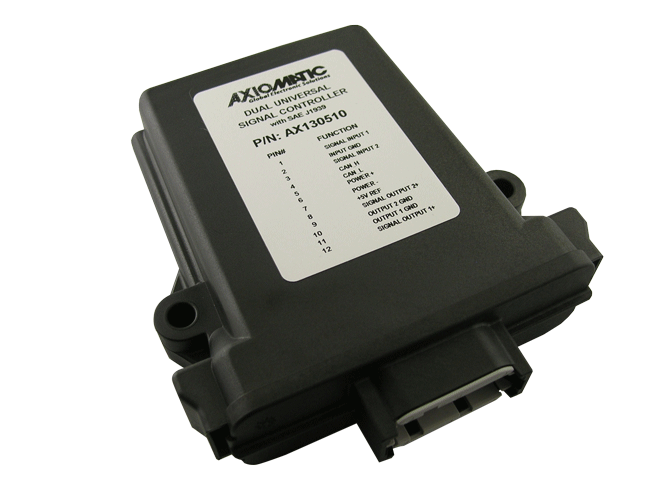 Axiomatic products support one to one conversions of PWM Signals, Magnetic Pick Up Sensors, Analog Signals, Digital Signals, Frequency or other inputs to CAN (SAE J1939 or CANopen). 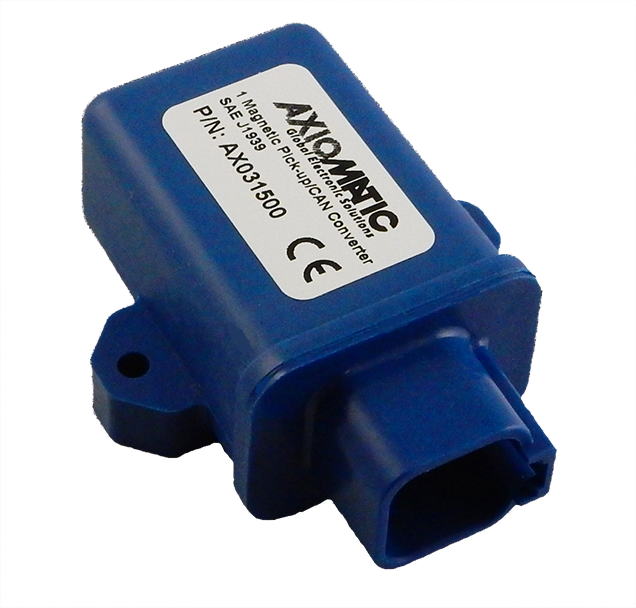 Bidirectional outputs up to +/- 400 mA or signal outputs are available. 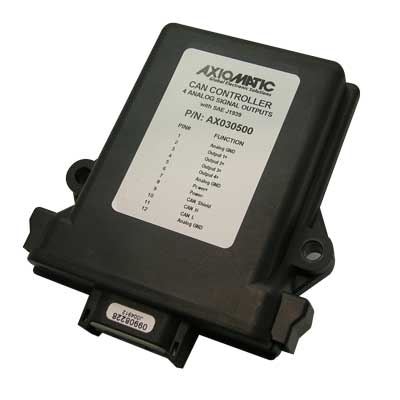 Protocol Converters act as gateways between different CAN protocols and Modbus. Custom designs are available on request. • Two analog signal inputs are selectable as: 0-5V; 0-10V; +/-5V; +/-10V; 4-20 mA; or 0-20 mA. • Two analog/digital inputs are selectable as: 0-5V; 0-10V; PWM; Frequency; Digital; or (0)4-20 mA. • Two signal outputs are provided for feedback to a PLC or other similar device. 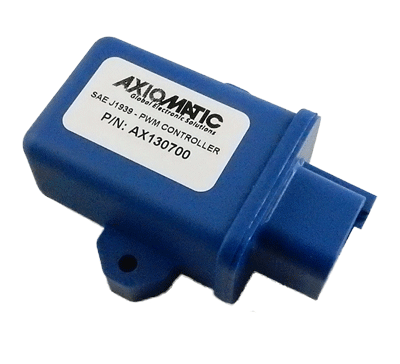 • Two bidirectional outputs operate from -400mA to +400mA. 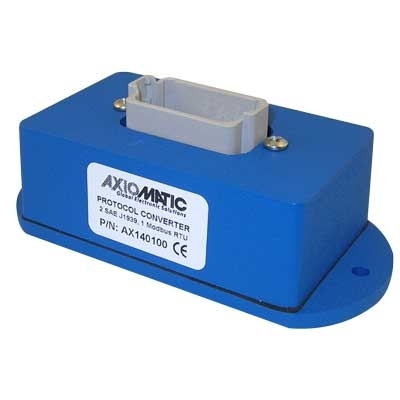 • 4 Analog Signal Outputs with user selectable output range from +/-10V or +/-20 mA, including: 0-5V; 0-10V; +/-5V; +/-10V; 0-20mA; 4-20 mA; and +/-20mA.